This week, two heavyweight organizations, OPEC and the IEA, will weigh in with their assessments of the market, on Thursday and Friday, respectively. The reports are due out after benchmark Brent futures briefly rose above 70 dollars a barrel last week. In the European natural gas market, all eyes will what the Dutch regulator will recommend on cuts to output from the Groningen gas field after the region was hit by its largest earthquake in five years. For those watching policy in Germany, the key date will be next Sunday when the Social Democrats hold a party conference to decide whether to enter into full coalition talks with Chancellor Angela Merkel’s Christian Democrats. Finally, the European steel industry will be bracing itself for the US administration’s reaction to an investigation into the impact of steel imports on national security. What do you think the outcome of the latest Groningen earthquake will be for the gas market Tweet us your comments with the hashtag #PlattsMM. 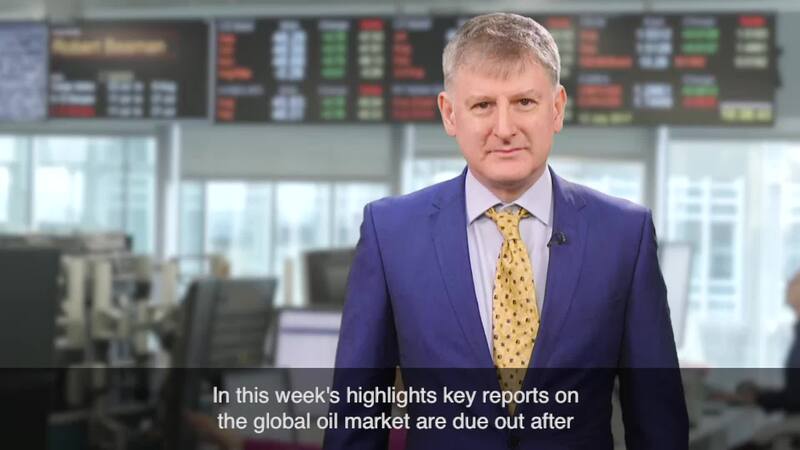 In this week’s highlights: Key reports on the global oil market are due out after Brent hit $70 a barrel; a Dutch government decision on a key European gas field is eagerly awaited; and the European steel sector is bracing itself for a US trade ruling. The reports are due out after benchmark Brent futures briefly rose above 70 dollars a barrel last week. These organizations' assessments of global oil stocks will be closely watched, against the background of US decisions on Iran, and a prediction last week by the Energy Information Administration that US crude output could surpass 10 million barrels a day by next month and hit 11 million by November. On Saturday, OPEC and non-OPEC officials will hold a monitoring meeting in Oman to assess the state of their 2016 production cut agreement. In the European gas market, all eyes will what the Dutch regulator will recommend on cuts to output from the Groningen gas field after the region was hit by its largest earthquake in five years. The recommendation is expected in the next two weeks. The regulator has already said a significant cut would be needed to lower the risk of earthquakes. This could potentially put a further dent not just in Dutch but also Northwest European gas supply and increase the need for imports since Groningen accounts for around a quarter of EU gas production. As you can see from the chart, there has been a steady rise in seismic activity despite a fall in production. According to economy minister Eric Wiebes, a decision is expected by the end of the March. Prime Minister Mark Rutte has said the cabinet is in agreement on the need to reduce output. Our question for social media this week is: What do you think the outcome of the latest Groningen earthquake will be for the gas market? Answer us on Twitter using the hashtag #PlattsMM. For those watching policy in Germany, the key date will be next Sunday when the Social Democrats hold a party conference to decide whether to enter into full coalition talks with Chancellor Angela Merkel’s Christian Democrats after exploratory talks made a breakthrough on Friday. However, the conference’s outcome is not a foregone conclusion, with the party’s youth group and some regional sections against a coalition with Merkel. An indication of how sensitive energy markets are to the potential policy outcomes of any deal can be seen in this chart showing how the German Calendar 2020 power contract plunged when news emerged earlier in the week that the parties might drop the 2020 climate goals. The European steel industry will be bracing itself for the US administration’s reaction to an investigation into the impact of steel imports on national security. This could mean tariffs or duties being applied to all steel imports. The US accounts for around 13-14% of European steel exports. On Thursday the Department of Commerce submitted the results of the investigation -- which was launched in April -- and President Donald Trump has up to 90 days to decide whether he will take action. Thanks for kicking off your Monday with us. Have a great week ahead.